You may remember me mentioning that I'll soon have some of my wares for sale via Etsy. Well now I do. 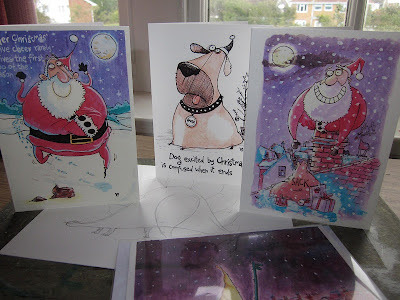 I'm starting with four Christmas card designs, but the new year will see all sorts of other things: cards, prints, tea towels and colouring books are all on the agenda. The designs available are limited in number, future print runs may well include different designs but there'll only be four different pictures available at any one time so don't hesitate to order if you are interested. Needless to say, you should also not hesitate to share this information with your friends, relatives and bitterest foes.